Are you feeling tired, unmotivated, or constantly drained of energy? Whether you’re a current or former athlete, the symptoms of low testosterone can compromise your game and leave you stuck on the sidelines. In today’s post, we’ll explain a few of the ways in which hormone replacement therapy can help you feel better and get back to living an active life. Contact Men’s Vitality Center in Tempe if you would like to schedule a testosterone replacement therapy appointment! No matter which sports you enjoy playing with your friends, you probably work up a sweat whenever you play. Whether you’re running up and down the court playing basketball, running to catch an amazing pass from the quarterback, or you’re trying to beat your personal best on your favorite running trail, you depend on your heart to deliver oxygen throughout your body. Low testosterone has been associated with cardiovascular risks and decreased athletic performance. 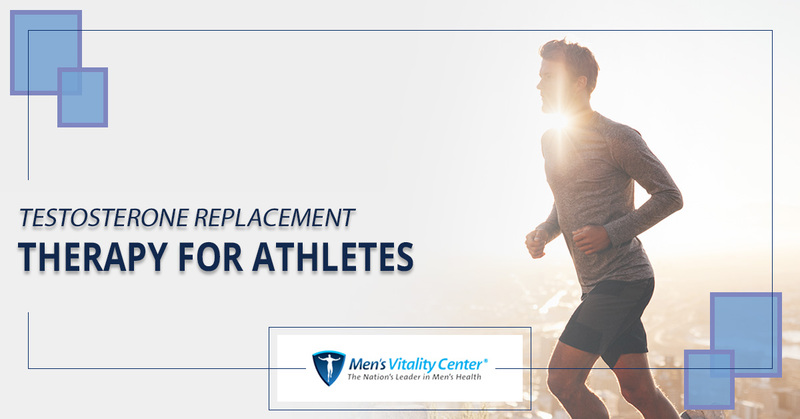 While decreased athletic performance can be attributed to other factors such as weight gain and depression that also occurs in men with low testosterone, testosterone therapy has been shown to produce a marked increase in blood flow and overall vascular performance. Many of our patients report that they have more athletic stamina and feel more energetic in as few as four weeks of treatment. If you’re an athlete of any kind, then you almost certainly know that testosterone plays a crucial role in your body’s ability to build and maintain muscle mass. Strength loss and weight gain are two of the most prominent symptoms of low testosterone in men, and for an athlete, they are particularly troubling. 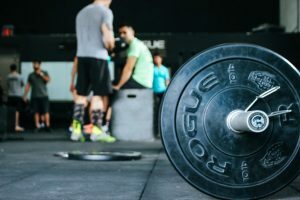 Whether you’re a swimmer, runner, weightlifter, or member of a team, you need your strength in order to perform your best. Men who begin testosterone therapy notice a change in their energy levels and strength almost immediately, so please don’t hesitate to get in touch with us if your overall strength, speed, and endurance have been declining rapidly. Testosterone is a key component of bone health, and men who have lower-than-average testosterone levels are often at risk of osteoporosis. The hips and spine are more at risk than other bones for athletes, as a large majority of sports require participants to bend, jump, run, and brace for impacts. Breaking a bone at any age can be incredibly life-disrupting, but older men with low testosterone levels will have a much more difficult time recovering than their younger counterparts. If you’ve recently broken a bone, or are worried that you may break a bone due to bone loss, then contact a member of Men’s Vitality Center to speak with one of our experts. Men’s Vitality Center in Tempe is proud to be your go-to resource for a number of men’s health services. We provide weight loss management, physicals, sports medicine, and a wide variety of services that can help you live a healthy life. Schedule your appointment today!